Many Woodworking Machines require 2 operators, 1 feeding + 1 tailing. In addition to the cost of the second operator…repetitive stacking of your parts increases the risk of damaging the work in process and allows errors to remain undetected. Unlike their human counterpars, Automatic Return Conveyors need no hiring, no training, do not take off sick and work extended hours without receiving overtime. 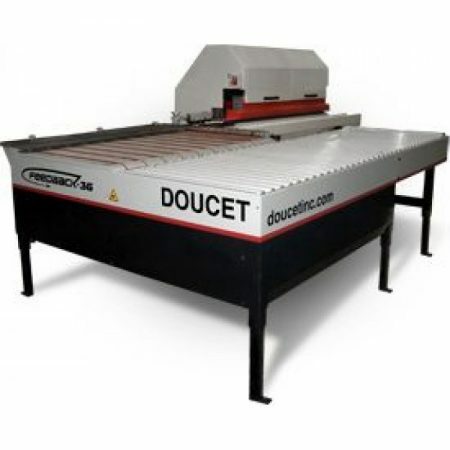 Our Doucet range of Return Conveyors and Feeding Solutions will Streamline your manufacturing operation and bring your labour cost under control.